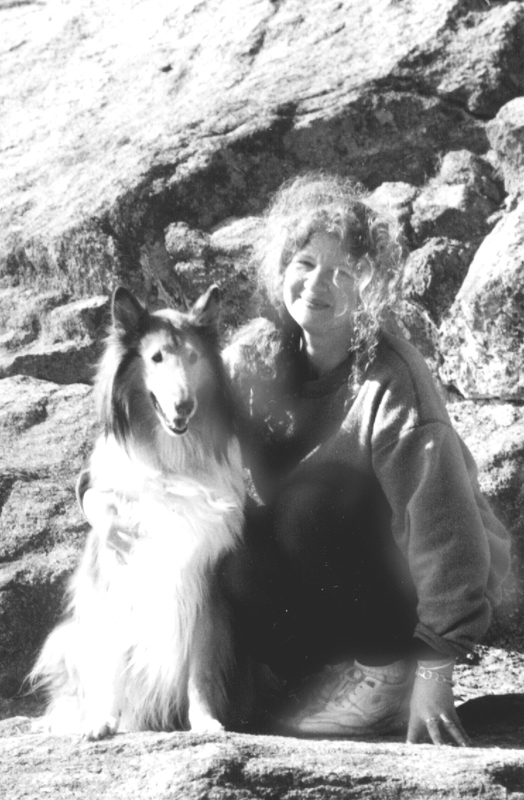 Susan Reenan is a Rhode Island middle school teacher and an avid hiker of mountain ranges all over the United States. She is currently working on, and almost finished with, multiple lists including the Colorado 14ers, the Northeast Winter 111, and the New England Winter 67. We spoke with Susan over the phone, and the recording is in mono vs stereo. We apologize for the sound quality of our voices; Susan sounds great, but sometimes we (Alex and Sage) are a bit hard to hear. This episode features Katie Callahan, the GIS coordinator for New Hampshire Fish and Game. Katie talks to the girls about the wonderful variety of experiences she enjoys within the realm of her work, her love of the outdoors, interesting animal encounters, and more. 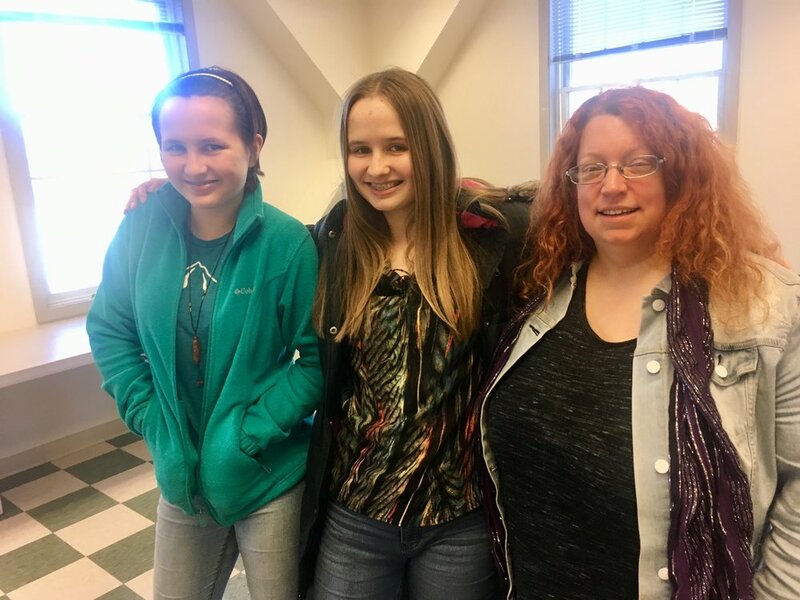 We had a great time interviewing 11-year-old Ella Ronci, a hiker who is almost finished her first round of the NH48. Ella is homeschooled, like us, and, in addition to being an avid hiker, Ella loves to ski. Listen as we discuss hiking, homeschooling, books all three of us love, and more. In this delightful interview, Alex speaks with Jen Lemire, aka MurdaPanda. Jen is a four-season White Mountain hiker currently pursuing the Grid, and she enjoys summit jumping and wearing a scary panda mask on the trails. Jen also enjoys hiking with her daughter, Bella (aka Monk). Alex also interviewed Monk; that interview will immediately follow this one. Check out Jen's photos on Instagram -- thesummitjumper and pandamoniumonthetrails (XPandaX). Alex and Sage interview Nancy Griswold, a professional artist who depicts scenes of and from the White Mountains in her beautiful oil paintings. Nancy talks about the outdoors as inspiration, and she describes the process that goes into her work. Alex and Sage first met Alexandra (Alex) Garcia a couple months ago in the parking lot of Mt. Washington's Cog Railway, after everyone had done various long hikes in the Presidentials. Alex is originally from Puerto Rico and now lives in Virginia; she hikes all over the world and recently discovered a love of the White Mountains. In this interview, Alex G. talks about her various hikes, her love of difficult pursuits, how Puerto Rican food is the best on the planet, and more. Alex and Sage had the pleasure of speaking with Professor Mary Ann McGarry last Monday. Professor McGarry is the Chair of Plymouth State University's Department of Environmental Science and Policy. In this episode of GraniteGals, Professor McGarry discusses hiking the Four Thousand Footers, hiking with her daughter, the importance of Bicknell's Thrush, environmental science education, and much more. (Note -- much of New Hampshire lost power last Sunday evening, including us. The power was just turned on in our home last night, and both Alex and Sage are trying to catch up on their schoolwork since most of their work is done over the internet. Therefore, in an effort to help out the girls, I, Trish Herr, edited this episode of GraniteGals and posted it to this website). Dr. Linda French, astronomer, Program Director at the National Science Foundation, and Professor of Physics, discusses hiking the White Mountains of New Hampshire.